I haven't posted in a while, sorry about that. Just had a few hiccups kicking around in my life in the last little bit. LOL. I have sat down and colored some serious images in the past couple days though .... now to get them made into some inspiring cards for you to pop back in and check out. The weather has been pretty good the last few days, a bit of well needed rain in there as well. 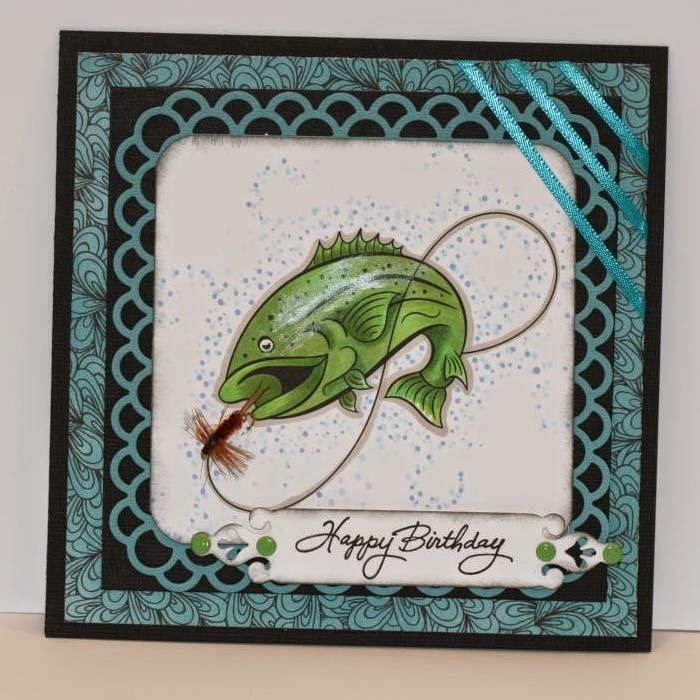 The card that I made is created using a wonderful image from Whimsy stamps called "Catch More Fish" from Stamp Art Design. I love this image it can be used for a number of occasions, I chose to do a birthday card. Fathers day or a just because card would be wonderful also. I colored it with copic markers and added a little smudge of some pearl accents to give the fish a bit of a sheen on the top of him. 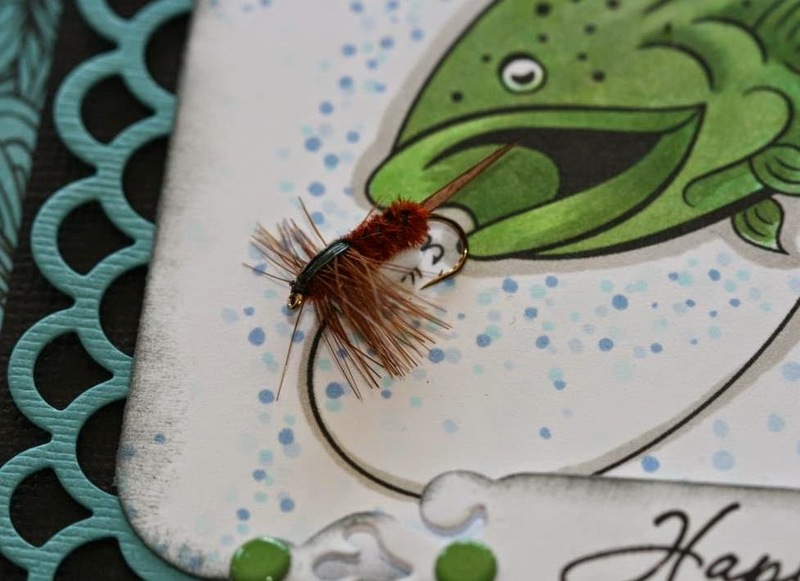 As soon as I seen this fabulous image I just knew I had to go to the store to find a fly fishing hook to give the card some depth. 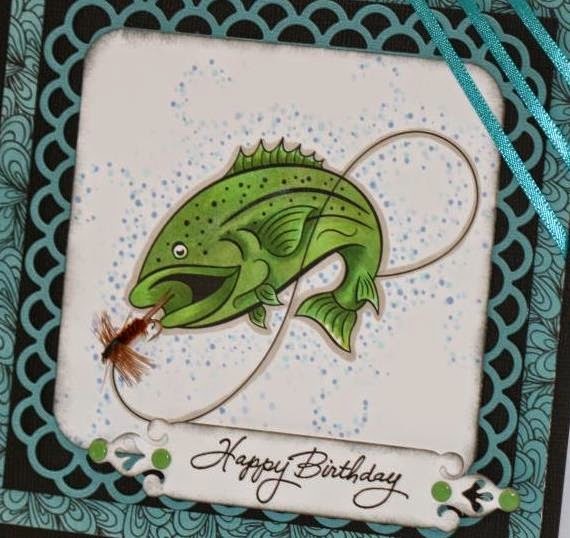 Also the hook would act as a little gift to the receiver of the card. I just cut a foam square smaller and stuck the hook over top of the digital hook. I hope you have a simply wonderful day! Another fantastic card Charlene, I love coming to see what you create. Nice to see you back, hope all is fine, and you get crafting more, so talented. Great image and nice hook, very cool idea.....awesomeness!